After strong west winds last week, surely we would get some interesting shells and Beach Bling washing up on our shores of Sanibel and Captiva. Yep, lots of Beach Bling lined the beach at Gulfside City Park. The winds were so strong, the strength of the waves pushed oodles of crab traps with buoys onto the beach. When traps get tossed around by the power of the water, their doors get jostled then spill out the bait for the crabs. So of course, the bait gets washed up on the beach too. Pigs Feet! Yes, they use PIGS FEET to attract STONE CRABS and BLUE CRABS so that’s why you may have seen odd bones washed up on the beach- most of the time its from crab traps. I actually think this one may be a HOGS FOOT. Its weird and humongo! On the beach, I do not like pigs feet or ham, Pam I am. But don’t let this PIGS FOOT be confused with this SEA PORK. More ham, Pam I am? I saw there were little baby shells in their fluid still sealed in each of the disks so I put it back in the water. I’m sure they washed back up on the beach since the water was still pretty rough but … who knows. Maybe they got stuck on something out there in the water and were able to hatch. Dunno, but why not try? When Clark and I looked a little closer, we saw there were several other EGG CASES that were laid on some of the TRUE TULIP EGG CAPSULES. There were hundreds of DOSINIAS that were washed up on the beach as well. I was really thrilled to find both types of our local DOSINIAS scattered along the wrack lines. The top one is the very common DISK DOSINIA and the bottom one is the ELEGANT DOSINIA. I haven’t had time to photograph them but I hope to show the detail much better on my next post. We searched Blind Pass (both sides) and Lighthouse but didn’t find huge piles of shells this weekend after the high winds but loved finding all of this cool bling at Gulfside City Park. I’m still hoping the shell piles will come rolling in soon but the birds are happy as clams with so much gourmet food at their beaks. The birds do like stone crab and clams. They like them here and there. They like them everywhere. They do so like stone crabs and clams. Go Birds. Go Birds. Pam-I-am. PreviousHappy Rose Petal Shellentines Day! Pam!!!!! Cute narration of your wonderful-as-usual posts! Thanks for sharing the bling!! You are too funny Pam! The hogs foot is… ugh gross! I love beach bling but not beach body parts!! :-) Missing Sanibel! Can’t wait for your post on the dosinias. I have never been able to figure out how to tell them apart. Great post!! I didn’t know bout the diff dosinias, can’t wait for your next post! Thanks so much for helping us figure out what all those bones were! This is our first time to sanibel and we couldn’t figure out what those were. I’ve been reading your posts for three months in preparation for our trip…you helped me survive our cold winter in Minnesota…Thanks for your great site! We are loving sanibel! What a fun post! -That Tulip egg casing with the other species mixed in is amazing! I was just showing my husband some of your other posts on egg casings yesterday (I think I’m getting him hooked for when we visit in the fall!). So I was happily surprised to read this post this morning! Thank you so much for sharing! I love that you are so knowledgeable about the egg cases. We see so many of them when we walk the beaches but the only one I am sure of is the whelk egg case. I need a lesson in “egg case recognition”. Good job!! Terrific post with great bling! Love those egg cases, especially the pink one from the true tulip; I wonder if those were laid by a red-colored tulip, or are all true tulip egg cases pink? Thank you for such great pics. I have been to south Florida many times and I am always amased at the things I have seen and didn’t know what they were until you posted them on your blog. I will look at things alittle closer next visit. And so very proud of your prose !! Pat, so sorry you are heading back to this snow we are getting tonight. I enjoyed your comments on what you were finding during your stay. I’m dissapointed to hear the cliffs are higher as I am sure they will be at Mitchell’s too when I get there the end of the week. Oh well, it’s what is on the beach that counts. Congrats on the nice welk, they are one of my favorites. Really have been enjoying those posts that help us tell different shells apart. I’ve started bookmarking them so I can go back to check them again later. Thanks! Love these photos ! Hope there are more( you can skip the piggie feet lol). Is there someone that cleans up the debris on the beach? Great post Pam you are. I have not seen a paper fig casing before, I would love to see other angle shots of that. Also looking for to an education on Dosinas. Pam, You are so creative! I love it! I enjoyed meeting you on the Cayo Costa cruise in December. Thank-you for all of the photos and info on your blog. 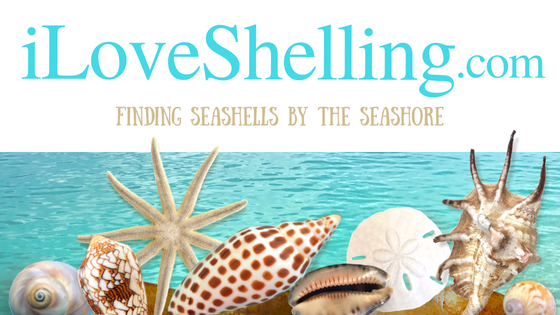 I learn a lot from you, and the more I know, the more exciting it is to go shelling. Thank-you, also, for the rose petal Shellentine. It was beautiful! I thought of you dressed as Shelly Temple when I heard that Shirley Temple passed away. How sad to lose her! Loved your clever post! Those egg casings for the tulips (one of my favorite shells) were beautiful. When finding casings on the beach, is it better to leave them alone or gently put them back in the water? We saw several at Gulfside Beach and just left them alone. Are those crab traps from commercial or private crabbers? Is it common to find them washed up on beaches after a storm? Hi Diane! it is fine to leave the egg cases alone. Most of them are dehydrated and will not survive but this one had so many eggs and it had just come out of the water so why not put it back. the traps are from both commercial and private. its common after high west winds. the birds and other wildlife clean up the beach but anything left is kept there to keep the beach healthy. All of the sea weeds and bling act jut like sand dunes that act as traps for sand keep the sand on the beach. Its the natural way a beach stays healthy. I think we’ve all enjoyed hearing about what you found and our beach reports. It helps us all to know what happening on our beaches so thank you! it was sooooo nice to finally meet you on our cruise to Cayo Costa! I love your sense of humor Pam I Am. 1 shell, 2 shell, red shell, blue shell. Looking forward to my arrival April 5th! Your posts get me SO excited!! Look out shells-here I come. Loved this post! My husband and I were down Feb 11 – 18 and were staying at the Sand Dollar, so I recognized your first picture immediately. Glad to know why the pig’s feet were there. I recognized what they were but didn’t think that they would have come from the crab traps I saw. Sort of a relief! I came home with only a handful of shells this time. (My husband and I were on Sanibel twice about 20 years ago…no other visits until this year.) We love it there…I hated to leave. I’m bookmarking your site now, for frequent tastes of Sanibel.